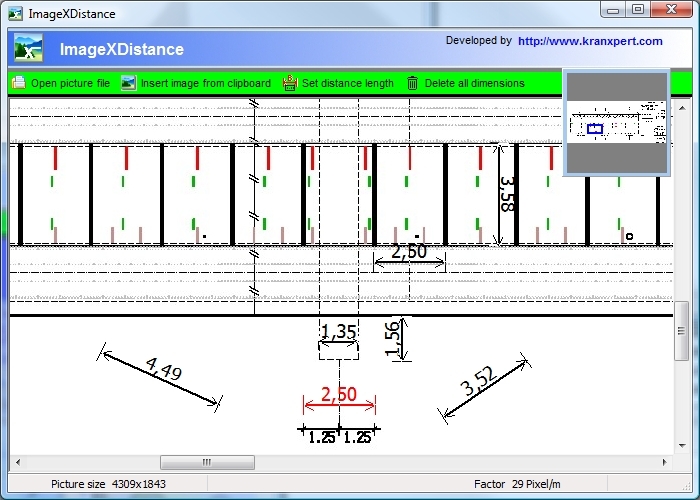 With the free software ImageXDistance you can quickly and easily import ground plans or Google Earth/Bing imagery to scale for use within Kranxpert. 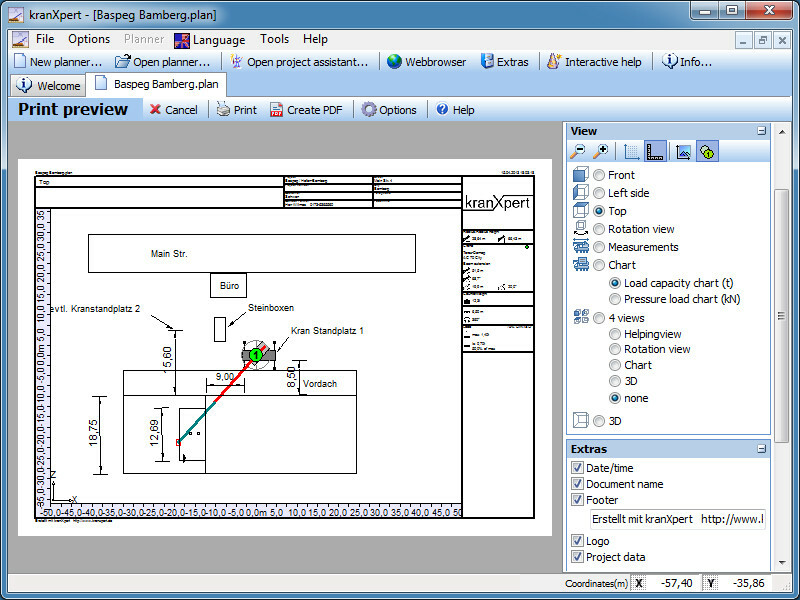 All that you have to do is set the distance length of the red dimensioning line and then everything else is imported to scale and cane be properly measured within Kranxpert. 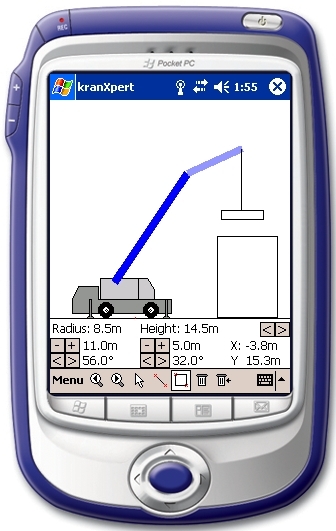 KranXpert Pocket-PC is a free available crane job planning software for Microsoft Mobile Pocket-PC.